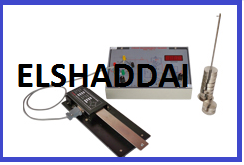 Manufacturer of a wide range of products which include micrometer, inclined tube manometer, profile projector, dial gauge, force measuring testing and load measurement trainer module. 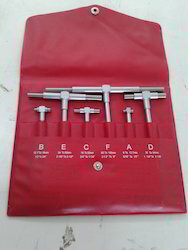 50-63mm, 50-200mm, 50-300mm, 200-225mm, 200-500mm, 200-1000mm. 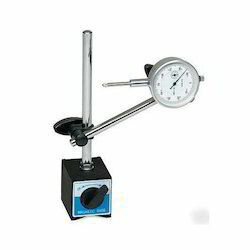 In a U-tube manometer, the pressure causes the liquid column to move. 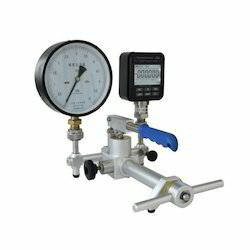 The pressure difference is read directly from a scale and is the measure for the applied pressure. 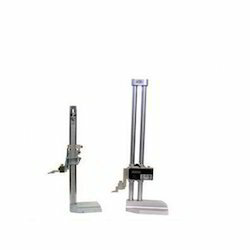 In inclined tube manometers, one leg points diagonally up. 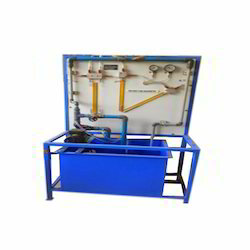 A small height difference therefore changes the length of the liquid column significantly. 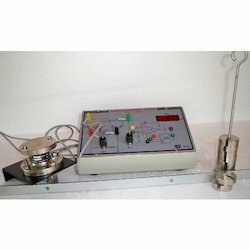 The apparatus consists of U-tube & incline tube manometer, motor and pressure gauges. weight : 100gms. 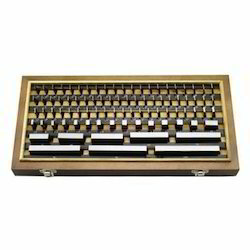 x 10 nos. 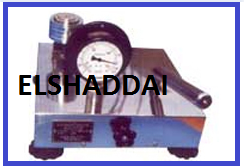 Indicator :3½ digit display to read upto 1 kg. 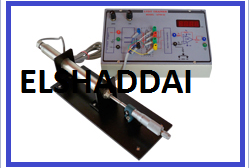 Load Measurement Trainer comprises of strain gauge based load cell,loading arrangement to load in compression, weights and digital load indicator to read the load in Kg. 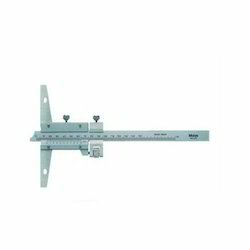 Indicator 3½ digit to read upto ±1999 counts. 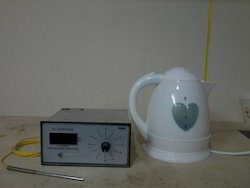 a) Accurate C-jet Dial Type Air Gauge Unit Range ±0.001mm. 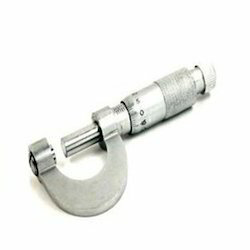 c) 2jet Air Plug Gauge Dia. 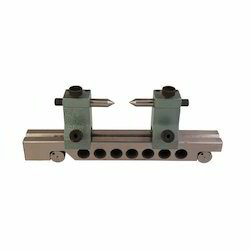 10-20 through bore with setting rings. 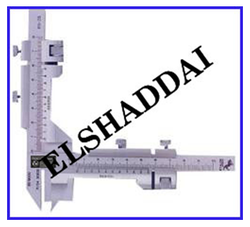 112 pieces AS per IS:2984-1966,slip gauges are available in three different grades i.e. 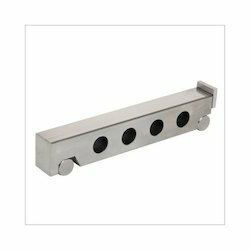 grate O,grate I,and grate II. Grate 0-slip gauges are used in laboratories & standard rooms some available sets of slip gauges are-M112, M105, , M33, M27. M45, etc. 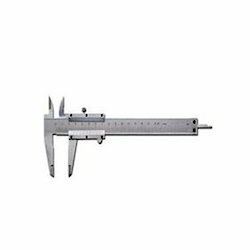 Assessed profiles Roughness profile ® Rmr curve (material ration Mr.
ØHighly precise & stiffair bearing technology improves motion precision of the machine. 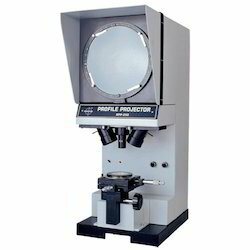 Ø Granite table conforming to din 876 standards ensure perfect atness of the table. 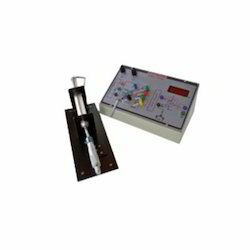 Ø Accurate drive systems provide faster and better motion capability. 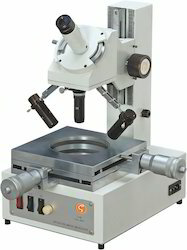 Ø Hollow z-axis structure reduces distortion of its own. 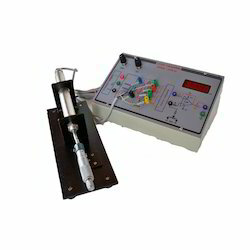 Dead Weight Pressure Gauge Tester is ideal for testing and calibration of pressure gauges,pressure transducers,recorders,digital calibrators etc. 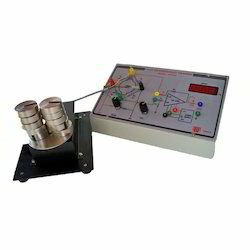 Displacement Measurement module comprises of LVDT with micrometre jig fitted on the base plate to give displacement to the core of LVDT. 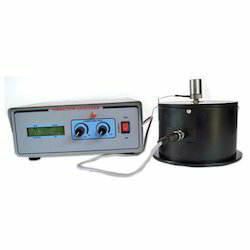 Digital 3½ digit indicator is supplied to read the displacement in mm. 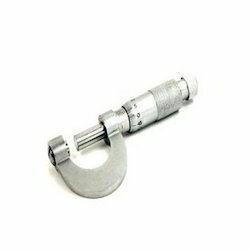 Range (in): 0 to 1-1/4"
.00008" for models up to 3"
.00012" for models over 3"
We are the premium manufacturer and exporters of torque measurement trainer that encompasses a strain gauge based reaction type torque transducer, fulcrum arm of 1M length, with L angle to mount the sensor, pan & weights with digital torque indicator to read the torque in Kg-m.
Capacitance Trainer comprises of parallel plate/angular capacitor with dielectric medium air as sensor, mounted on the base plate with scale for displacement. 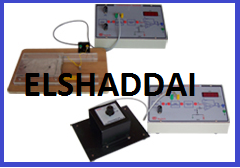 Digital indicator is provided to read the change in capacitance in terms of displacement. 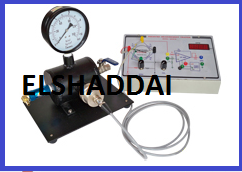 Pressure Measurement Trainer comprises of strain gauge based pressure cell, foot pump to build the pressure, pressure tank fitted with release valves and a bourdon pressure gauge. 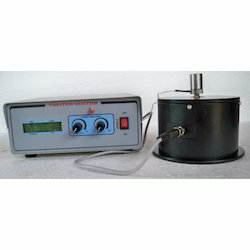 Digital pressure indictor to read the pressure in Kg / Cm² is provided. 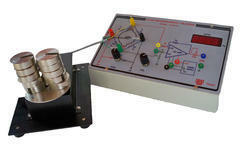 Strain Measurement Module comprises of Cantilever Beam bonded with four strain gauges,pan and weights upto 1Kg. 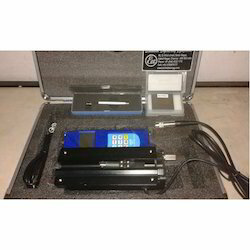 Digital 3½ digit indicator module is supplied to read the microstrain. 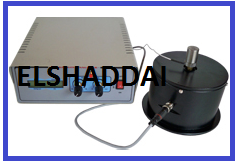 Vibration Measurement Trainer comprises of vibration generator of capacity 5 Newton with vibration exciter. 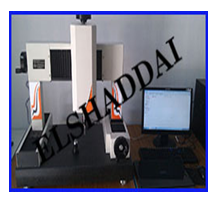 Looking for Metrology Lab Equipments ?